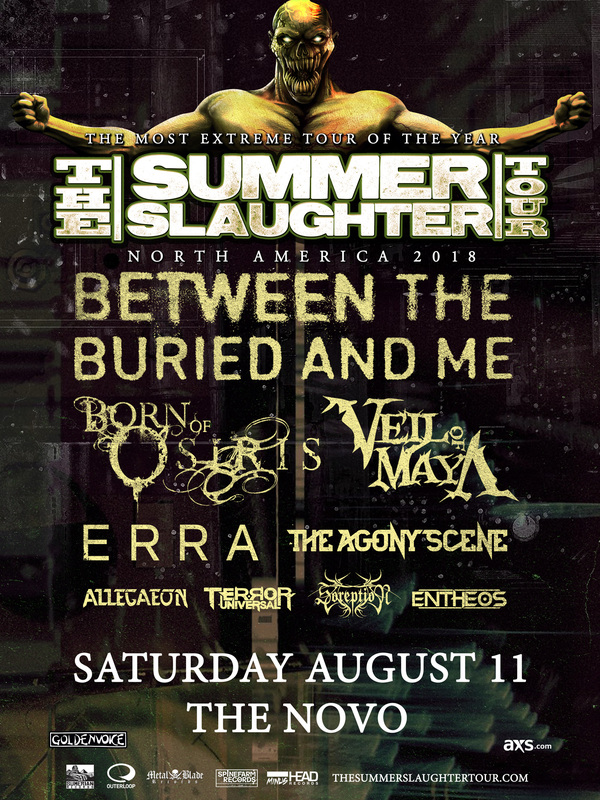 The 12th annual Summer Slaughter tour features Between The Buried And Me, Born Of Osiris, Veil Of Maya, Erra, The Agony Scene, Allegaeon, Terror Universal, Soreption and Entheos, and the 9-band caravan is arriving in downtown Los Angeles on Saturday August 11 for a show at The Novo DTLA! 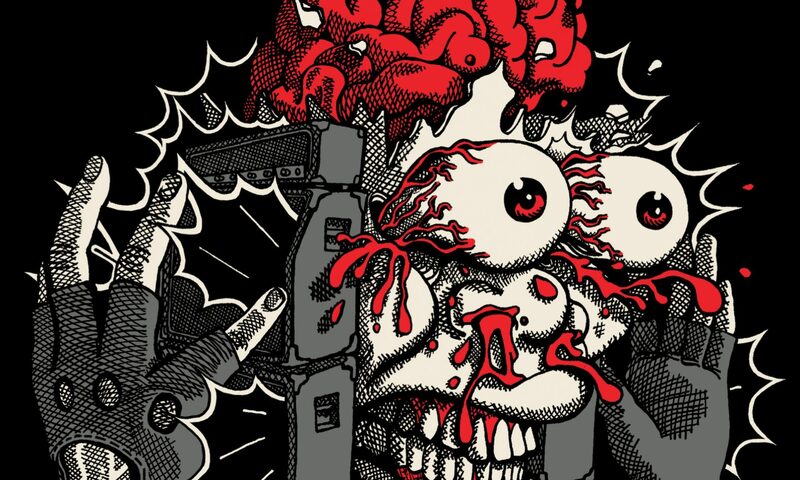 Metal Assault in association with Goldenvoice, The Noise Group and The Novo DTLA is giving away 3 pairs of tickets to the show. Please read the following rules, terms and guidelines, and enter the giveaway using the widget below. 1. Giveaway is open now through Sunday July 29 11:59 PM PT. 2. The giveaway allows you to gain multiple entries. Keep visiting this page daily and keep re-entering the giveaway to give yourself the best chance of winning! 3. Winners will be picked at random and will be contacted via email on Monday July 30. 4. Please use an active email address to sign up for the giveaway, and add MetalAssaultLA [at] gmail.com in your Contacts list so that the winning notification does not go into your spam folder, should you be the lucky winner of these tickets. 5. Please do not enter unless you’re living in the Los Angeles area or otherwise plan to be in town on the date of the show.